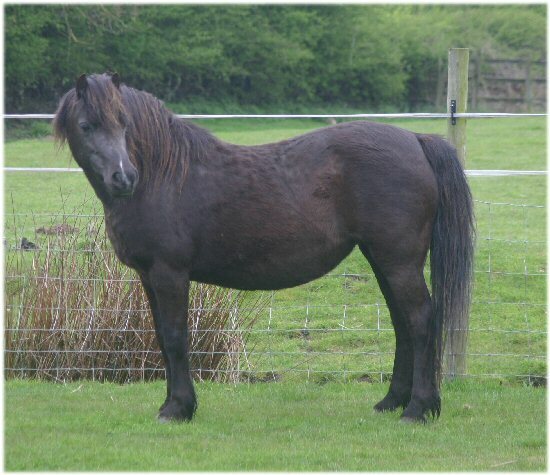 Sadly on the 6th of this month we had to say a very sad goodbye to the very beautiful Standwell Black Fashion. A truly beautiful mare and one of the foundation mares of the stud from the great Standwell Stud. But on a happier note Runshaw Hedeg has finally arrived on the 19th December at his new home at Tri Ef Ranch, California! Many thanks to all involved in getting him from here to there and looking after him so well! Runshaw Hedeg has landed in Canada and is starting his quarantine ready for the journey to California. Many thanks to Peter Jones, Menai Stud/ P J Exports for looking after him and his export so well. This month has seen the start of the journey of our dun colt foal , Runshaw Hedeg, from Runshaw Hyfryd and Churtoncroft Aries who is soon to be flying his way to California USA to his new owners at the Tri Ef Ranch. We'd like to wish him and his new owners the best of luck for the future and look forward to his updates! Firstly my apologises for the lack of updates this year but with work commitments, weather and fuel prices very little has been happening! You can now join us on Facebook though for more updates- search for Runshaw welsh Mountain Ponies and also Coed Coch Enthusiasts!! 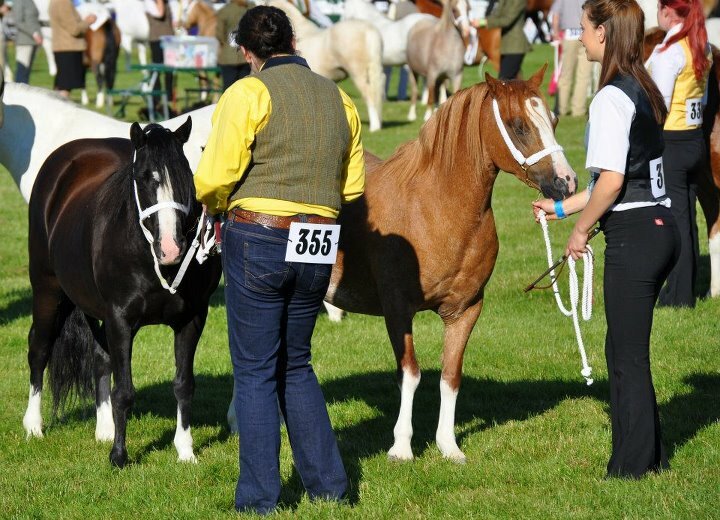 Last month we had our annual pilgrimage to the Royal Welsh Show with the 2 barren Mares Runshaw Heulwen and Runshaw Ffantasi, A huge class of 91 entries and 56 forward Ffantasi was awarded 12th place!! Absolutely delighted!! Heulwen went as she always does but had to bow down to the older mares in such huge and consistent quality forward! 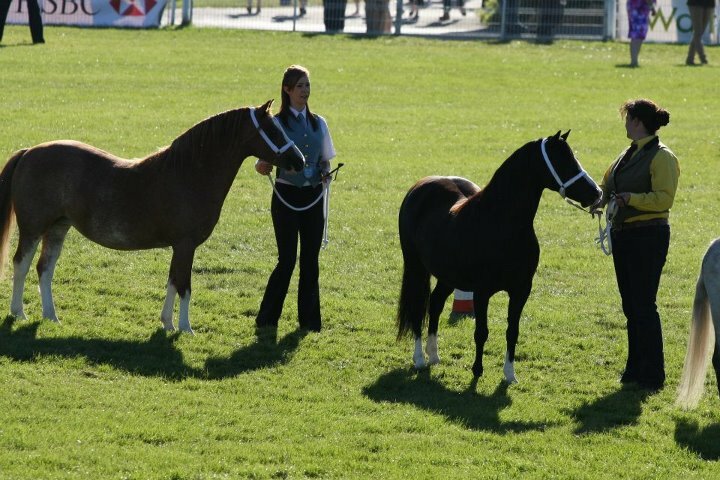 We had a great week with great friends even better weather and are already planning for next years show! Great pics taken by Jo Ralston and Debbie Unsworth, thanks girls!! Foal number 2 is safely here a big strong Dun colt by Churtoncroft Aries and out of Runshaw Hyfryd. A first foal and Hyfryd is proving to be a superb Mum!! Well we are pleased to say that the first foal of 2012 has arrived safe and well! A really beautiful chestnut colt with 4 whites and a blaze from our lovely old girl Standwell Heidie and by Churtoncroft Aries, thus making him the full brother to Runshaw Heulwen and Hyderus! 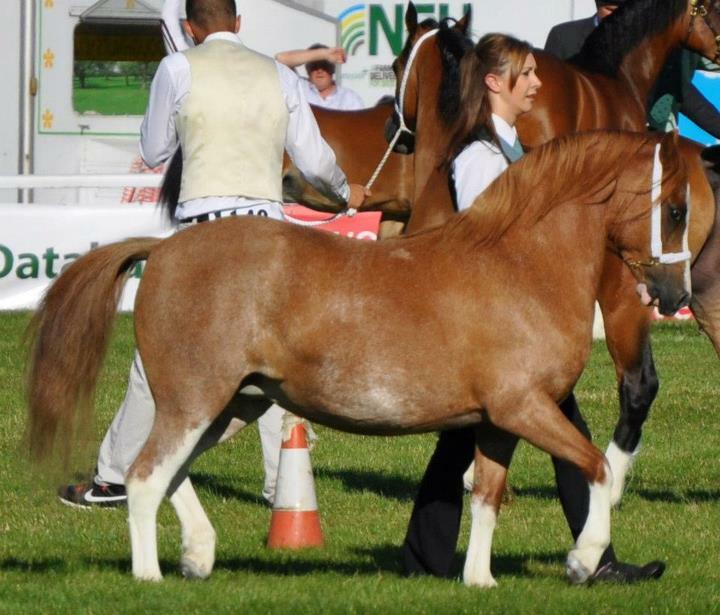 This very special colt may be for sale to a serious show/stud home at weaning. Please enquire for more details and pictures will be added as he un folds but he is looking quite special already! Happy New Year from all us!! Its with great sadness and heavy hearts to post that we have lost our beloved Chetwynd Lily this month. 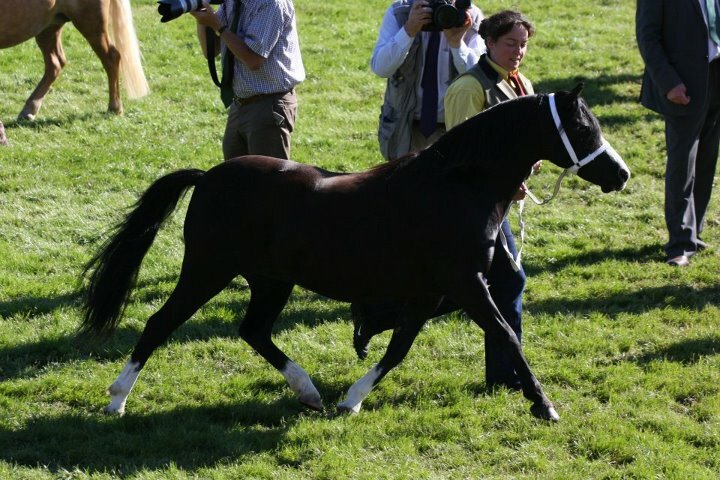 A truly beautiful mare that we all equally adored and will miss terribly. She has spent just short of 15 years with us and was a huge character in a small package. A nightmare to catch generally, although we soon learnt a system that worked but you instantly knew as soon as you walked in the field if 'today was the day' or not and if you'd catch her or may aswell go back home! Once caught she was a gem aslong as you didn't pat her or fuss her, just get on with what you needed to do and didn't even look at her. She adored her foals, loved to baby sit, was very much herd leader and all round boss of the herd. She seemed to have a sixth sense when it came to food. She knew when whatever vehicle we had at the time was coming, she recognised your foot fall never mind your voice and would constantly neigh to you until fed, and often still neighing with the first mouthfuls even if somewhat muffled as a result! Although many times during the 15 years we shared with her we all totally dispaired with her at times as she took the whole herd with her when she realised you were going to catch one of her friends and often joked about selling her the truth is we all absolutely adored her such huge character and she will truly missed by us all human and equine. A true matriach and very special mare. Happy New Year from all us! !